We know that you utilize many different apps in your daily work in addition to Pipeliner CRM,. 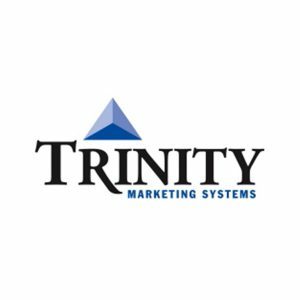 We’re always out to make your work simpler and easier. 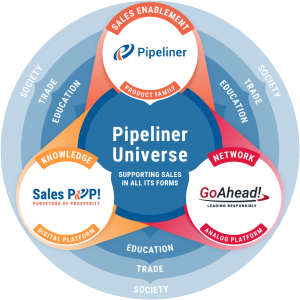 To that end, Pipeliner integrates with more than 50 of the most popular applications, including those contained within the leading Google suite of productivity products. 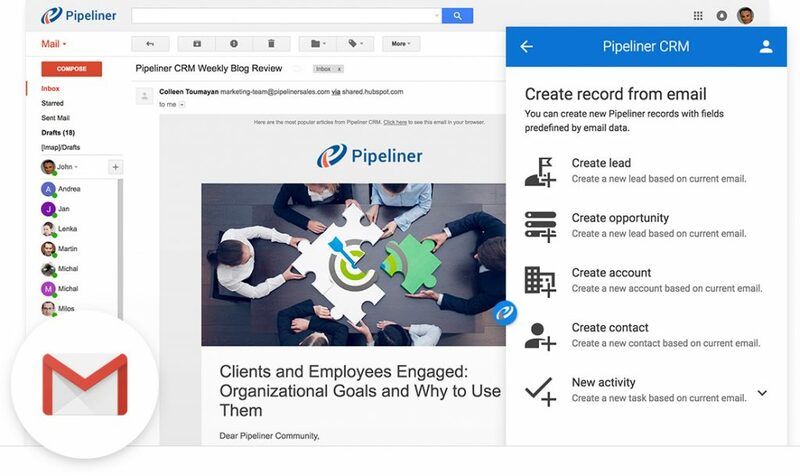 Your Pipeliner CRM and your Gmail working together! 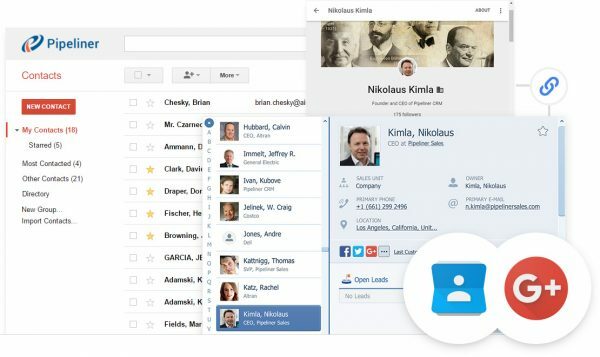 Confidently work inside Gmail, knowing that your email correspondence will be automatically appended to your CRM contacts. 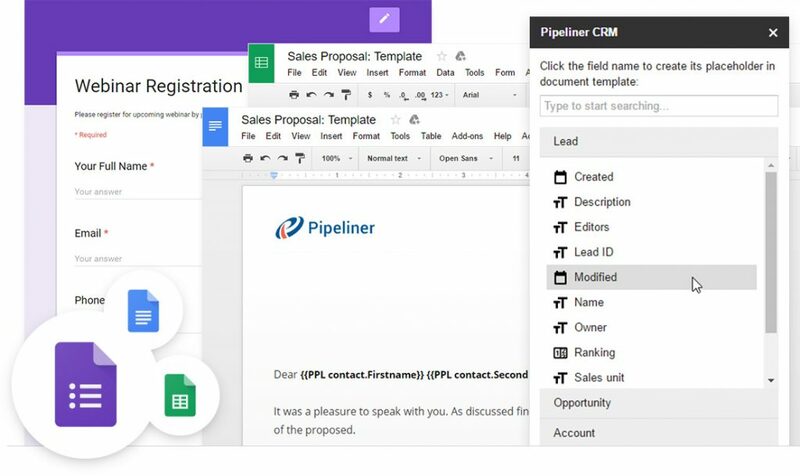 Pipeliner CRM connects to Gmail in order to map emails to contacts and provide valuable history of communications with the people you do business with. 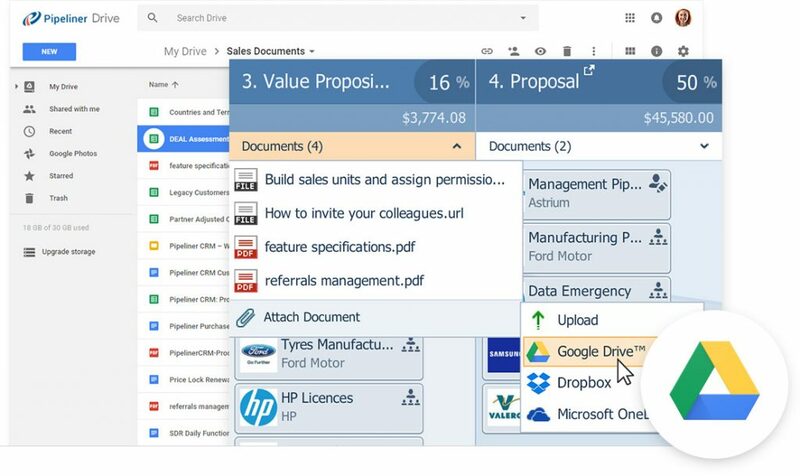 Share and collaborate on documents with your sales team using Google Drive, and attach your files with just a few clicks to any sales stage, lead, sales opportunity, contact, or account in Pipeliner CRM. Introducing Pipeliner CRM Web Clipper—a customized Google Chrome Extension with which you can easily clip web pages, or highlight parts of web pages, and save them in Pipeliner as leads, accounts, contacts and even tasks. 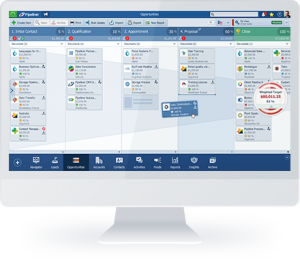 Schedule interchangeably with either Google Calendar or Pipeliner CRM. 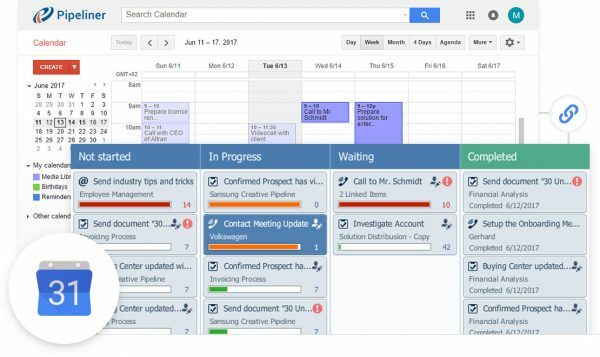 This is a two-way integration — Google Calendar and Tasks are synced to Pipeliner CRM, and vice versa. 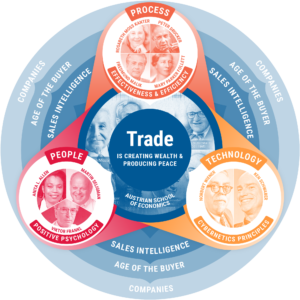 A core function of a sales pipeline CRM is to share information smoothly within the sales team without tiresome data entry. 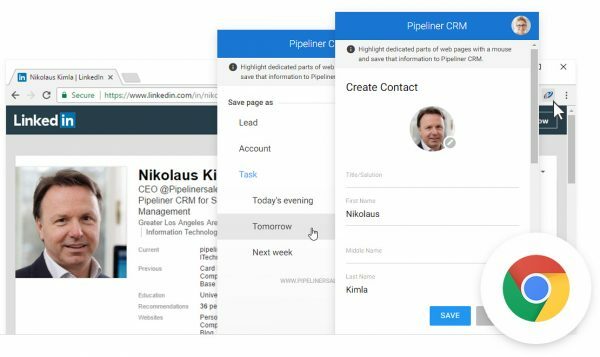 We’ve made sharing contact information simple and automatic—Google Contacts synchronize with Pipeliner CRM!